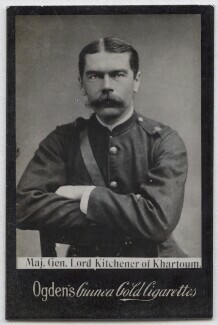 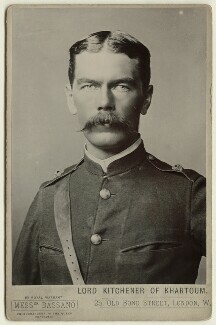 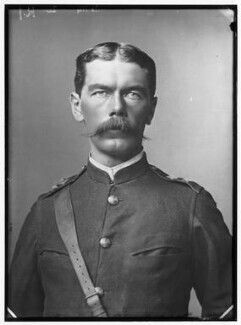 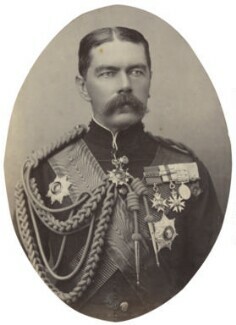 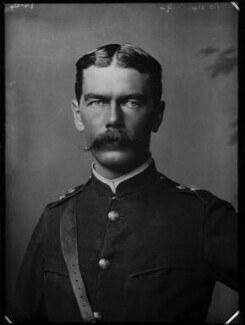 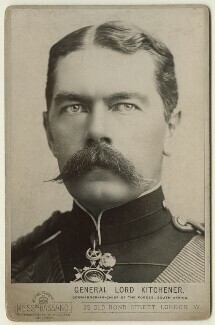 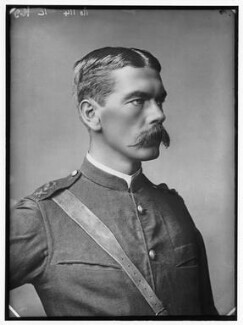 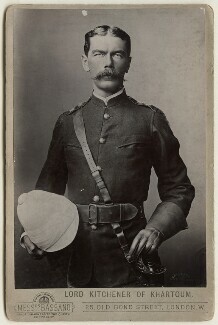 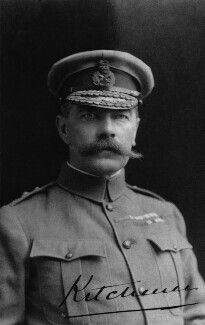 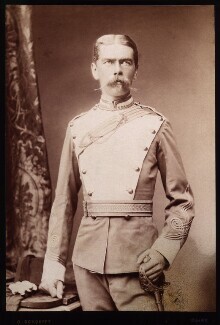 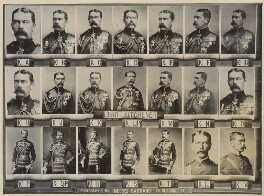 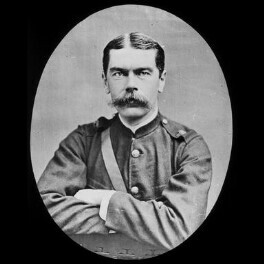 Kitchener was the epitome of the imperialist military general, who commanded the British army in Egypt, the Sudan, India and in South Africa during the Boer War (1899-1902). 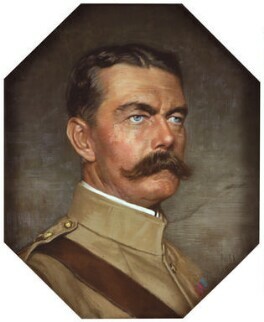 As Secretary of State for War from the outbreak of the First World War in 1914, he converted the small British army into a military machine of three million men and his image was used for the iconic army recruitment campaign with the slogan: 'Your country needs you'. 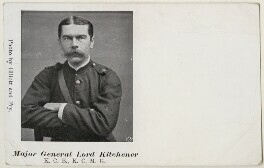 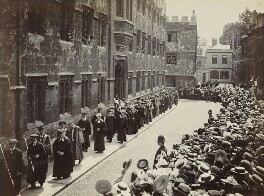 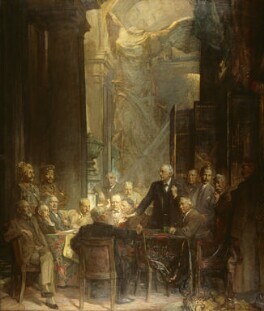 It was based on Bassano's photograph of Kitchener, with the addition of a pointing arm. 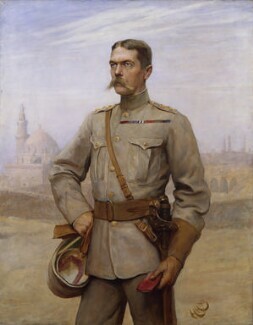 It first appeared on the cover of London Opinion magazine on 5 September 1914 and was adopted for recruitment purposes soon after. 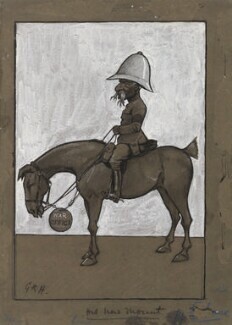 Several poster and postcard versions followed, and it became one of the most iconic images of the World War One era.